I just liked fishing so after I retired, I became a full-time​ fisherman. 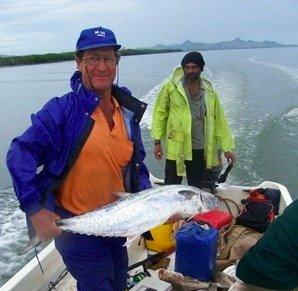 I like to take friends out fishing around Labasa where I stay. I like trolling and night fishing. I usually catch my herring than start fishing with fresh bait. I also use live bait. Usually, I do my fishing outside the reef.